Quilt Blocks – Who are You? Today is a big day in our country, and it is the kind of day that makes us who we are! With the freedom to be as individual as we like — just like our quilts! There are SOO many quilt blocks out there – and every day they just keep getting more and more beautiful. So, today we ask, if you were to be represented in a quilt block, which would it be? Let us know below. As an added bonus, tomorrow we will have a random drawing, and the winner will get a $25 Shopping Spree at Homespun Hearth. And today, don’t forget to download a free copy of our Exclusive Election Day Quilt! For me, the block would be a custom Butterfly Quilt Block – paper pieced — I don’t know why, but I’m always drawn to the beauty and serenity, the transformation, color and mystery of butterflies. 8th Annual 2016 Giveback Giveaway Starts Now! We are so excited to announce our 8th Annual Give Back Give Away! We love this time of year when we get to show you how much we appreciate you. This year we have a fun “Give Back” Calendar to give you lots of ideas and opportunities to Give Back. …And, that means you have more opportunities to win! In all, we’ll be giving away more than $1000 in Prizes! Take a Look at Our Fabulous Prizes at the link below! In addition, throughout November we will have Deep Discounted Sales, Lots of New Products, Fun and Creative 2017 BOMs and Sew Much More! Click Here to Start Entering to Win! It’s Pig-in-a-Blanket Day – and we have a Quick Quilter’s Competition For You! First, I want to thank all of you who gave us such wonderful Get-Away ideas! We haven’t decided on anything just yet, but if we were to take all of your suggestions, we would end up quilt retreating, relaxing, and hiking in places all the way around the world to home, sweet, home! As I look at the 10-day forecast, and see that Mr. Snow is yet again planning to make another few entrances, I’m thinking “South Baby, South!” As for the winner of the Super Bright Light, the random winner has been selected: Jeanne B – who would be found floating in a pool with a good book! Thanks to you all for participating! Now, on to our 2 Day Quilter’s Competition … which begins NOW! Simply go to the below link, add 1 to your cart, and check out — you will then have the COMPLETE instructions to make a PIB (our version anyway), Block. Make it quick and then email us a picture. We will then make a ‘Virtual Quilt’ from all of the blocks! Plus, even better – you will be automatically entered into winning one of the hottest fat quarter bundles we have right now – the Viva Brazil color and fun eye-popping 12 piece collection! To get started on the Pigs-in-a-Blanket Competition, Get Your Instructions Here! We Have a Winner – Rokiratukina! Plus, Help Me Out and You Might Win! Yes, Rokiratukina is the winner of the Mary Ellen’s Bet Press 5 pack – Congratulations Vicki! Don’t you think it’s time for a breather? It seems like we’ve been going at light-speed since about Thanksgiving … with the End-of-the-Year craziness, Christmas, New Years, inventory (thhh), taxes (thzz), plus the addition of more than 37 new BOMs so far this year, it’s been quite the whirlwind here at Homespun Hearth! We’ve got just a couple of weeks before our May Customer Appreciation Month begins – which will be quite the crazy month … again … for us! So, I’ve been thinking, if I were to get away for a few days, where should I go? Do I laze on a beach somewhere tropical, go camping in a remote area with the serenity of nature all around, or perhaps visit an exotic land far away? I Could Sure Use Some Help … and would love to know what your Dream Getaway would be! 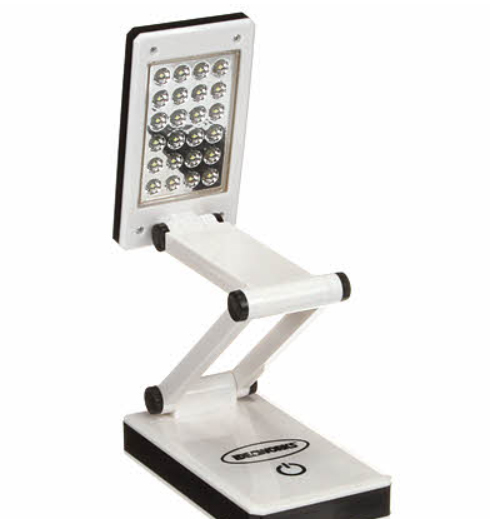 And, because I always want you to know how much I appreciate you, all of you who let us know what your perfect getaway would be, you will be entered into a drawing to win a Super Bright Portable LED Lamp! Want to know who wins right away? Be sure to follow our Blog! What’s Your Inner Quilter Name? Let Us Know, and You could Win! This time it’s only been 3 months since our last post .. but, that’s going to be changing soon! We will be resuming many of our fun post themes, and have many more coming. For now, and for your Friday entertainment, we have our Inner Quilter Name – and each of you has one, too. Mine is Janadanalamo (Each of the letters in Teresa matched with the listed letters). Look at the chart below, and let us know in the comments what your Inner Quilter Name Is – and you could win! 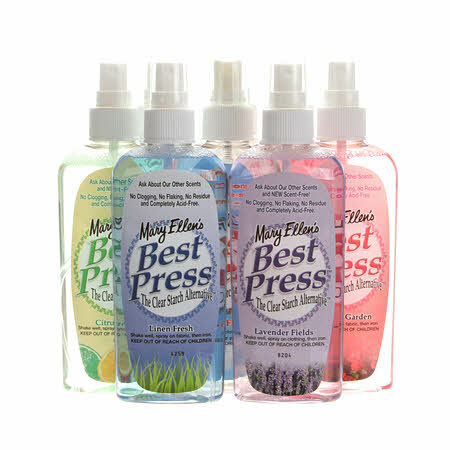 Over the next few days, we want all of you to let us know your inner name, and then on the evening of April 19th, we will randomly choose a name – and if your name is chosen, you will receive a Free Gift – a 5 pack of Mary Ellen’s Best Press! Homespun Hearth Awarded Google Trusted Store Badge! OK, so while we don’t blog often, we are so excited about this new Google recognition! Homespun Hearth, an online quilt shop which offers quality and innovative quilting products around the world was recently selected to join the Google Trusted Stores program. To help shoppers identify online merchants that offer a great shopping experience, the Google Trusted Store badge is awarded to e-commerce sites that demonstrate a track record of on-time shipping and excellent customer service. When visiting the Homespun Hearth website, shoppers will see a Google Trusted Store badge and can click on it for more information. As an added benefit, when a shopper makes a purchase at a Google Trusted Store, they have the option to select free purchase protection from Google. Then in the unlikely event of an issue with their purchase, they can request Google’s help, and Google will work with Homespun Hearth and the customer to address the issue. As part of this, Google offers up to $1,000 lifetime purchase protection for eligible purchases. Google Trusted Stores is entirely free, both for shoppers and for online stores. The program helps online stores like Homespun Hearth attract new customers, increase sales and differentiate themselves by showing off their excellent service via the badge on their websites. Homespun Hearth is a mainstay in the Quilting industry, and the Google Trusted Store Badge award is yet another reason for quilters to become a part of the Homespun Hearth family. Come Back and Tell Us What You Thought! Today, though, we want to spread some funny holiday cheer. My favorite story ever is available on You Tube – let us know if you watched it, and what you think! Plus, we want to know YOUR FAVORITE STORY EVER! Plus, a reminder that Saturday is Small Business Saturday. Be sure to register your American Express Card by Friday, and you will get $10 back from AX on your purchase, plus we will have a special for all! Spend $30 and get $10 back … if you are using that AX, then your order will only be $10! PLUS – follow our blog and don’t miss a thing! Welcome to Homespun Hearth’s Quilter’s Vine Blog! Stay connected with us as we blog about great ideas, new products, and fun giveaways that are targeted especially to quilters. We want to get to know you, so please leave comments whenever it strikes your fancy. Don't miss a thing! Enter your email address to follow this blog and receive notifications of new posts by email.